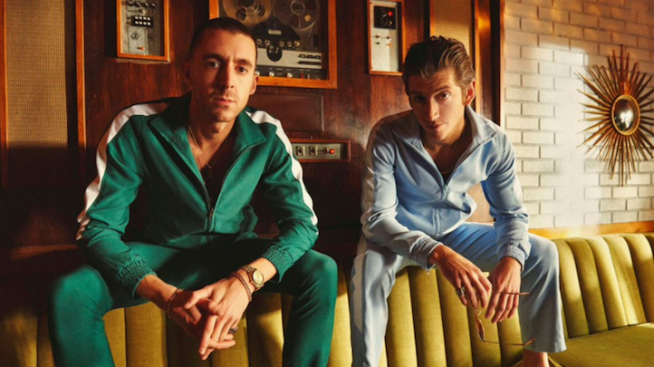 The Last Shadow Puppets, featuring Alex Turner of Arctic Monkeys, are enjoying quite a buzz, and they headline Observatory North Park on Aug. 5. Man is it hot -- too hot to stay in. You see, I don't have air conditioning, so I have to get out of the house! But then again, I go out like a postman, through rain and sleet and snow! Here are some select selections for you to pick from, and even though these are mostly bigger touring bands, please don't forget the little guy and support some local music. Aug. 1: Sound Lupus, Oh, Spirit! and Creature Canyon at the Casbah. Support local music! Aug. 2: Duran Duran, Chic with Nile Rogers and Tokimonsta at Sleep Train Amphitheatre. '80s legends with '70s legends! Aug. 3: The Claypool Lennon Delirium and JJUUJJUU at Observatory North Park. Primus meets the Ghost of a Saber Tooth Tiger. Aug. 4: Declan McKenna at the Irenic. He's all over the radio and still a teenager! Aug. 5: The Last Shadow Puppets at Observatory North Park. The other band that Alex Turner of Arctic Monkeys has. Aug. 6: Earthless at the Belly Up. World-renowned psych rock legends from San Diego. Aug. 7: Steel Cranes at Tower Bar. Amanda and Tracey from Oakland -- they rock! Aug. 8: Touche Amore, Ceremony and Gouge Away at the Che Cafe. Sold out, but it's my top pick of the night -- heavy and dark! Aug. 9: 10,000 Maniacs at the Belly Up. Is Natalie Merchant going to be there? Aug. 10: Monsieur Perine at the Casbah. It's got that swing vibe, but Latin style. Aug. 11: Hockey Dad, Muuy Bien and the Gloomies at the Casbah. Hockey Dad are from New South Wales. Aug. 12: Dead Feather Moon at the Belly Up. Support a local band's record release party. Aug. 13: The Donkeys, Heavy Hawaii and Hills Like Elephants at the Casbah. Support local music! Aug. 14: Dillinger Escape Plan at the Casbah. Mathcore does not involve math. Aug. 15: Grace Potter and Con Brio at Humphreys Concerts by the Bay. Great double bill -- buy tickets or take your dingy to the secret spot. Aug. 16: LA Witch at the Hideout. Reverb soaked punk rock. Aug. 17: Guided by Voices and Broncho at the Belly Up. Robert Pollard will be there at least. Aug. 18: Beware of Darkness and Pleasure Fix at the Casbah. For fans of Black Rebel Motorcycle Club. Aug. 19: Parquet Courts and Girl Band at the Irenic. All ages venue and they have beer! Aug. 20: SoundDiego Summer Splash with Bully and the Donkeys at Harrah's Resort SoCal. Hosted by the super spectacular Robin Roth. Aug. 21: Burt Bacharach at the Belly Up. Too many songs to mention -- all hits! Aug. 22: Guns N' Roses at Qualcomm Stadium. Welcome to the jungle! Aug. 23: Midnight Clergy, Beatie Wolfe and Garden Echo at the Casbah. A former San Diego-inspired member of UK band Proud Mary and a local band that is one of my favorites. Aug. 24: Culture Club at Humphreys Concerts by the Bay. I mean seriously, do you really want to hurt me? Aug. 25: Holychild at the Casbah. Get your Brat Pop on; it's a genre. Aug. 26: Hot Chip at Observatory North Park. Two words: dance party. Aug. 27: Ages and Ages at Soda Bar. Choral Pop sing-along, join the fun. Aug. 28: Black Joe Lewis at the Casbah. Blues, funk and soul equal a good funkin' time. Aug. 29: Jagwar Ma at the Casbah. Neo-psych rock dance party. Aug. 30: Baroness at Observatory North Park. Smart man's heavy metal. Aug. 31: Squirrel Nut Zippers at the Belly Up. Celebrating 20 years since the release of "Hell" and the beginnings of the new swing movement that took over. Make it so and go see a show! I love meeting the fans of SoundDiego when I am out and about, so if you see me at a show, it's your duty to come up and say hello. Thanks for the support!